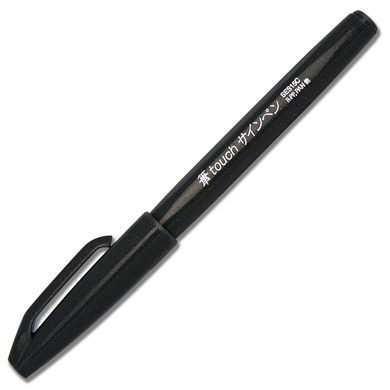 Water based pen, which is fast drying. It is the perfect tool for drawing illustrations or for beautifully handwritten letters. The nib of the pen is soft, bendable and shaped like a brush. Depending on pressure you can either make thin lines or thick lines -like you do with a calligraphy brush.